None of the children received serious injuries. The road between St Johnston and Lifford in Donegal. EIGHT CHILDREN WERE taken to hospital after a school bus and a van collided in Donegal this morning. 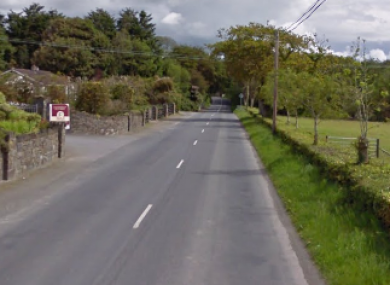 The crash occurred this morning at Carrickmore, between St Johnston and Lifford in Co Donegal at about 8.15am. There were 20 children on the 53-seater bus at the time. Eight of these were taken to hospital but none of their injuries are thought to have been serious. The drivers of the van and the bus were also taken to hospital with minor injuries. Commenting on the incident, garda inspector Michael Harrison said that it could have been much more serious. “This could have been a more serious collision than what it was but we’ve had a number of children taken to hospital and thankfully none of them were seriously injured,” he told Highland Radio. There was about 20 children on the bus at the time and eight of these children have been taken to hospital. They were heading to school in Raphoe. Harrison said that gardaí had made contact with the school and that all parents should be aware if their children were taken to hospital. “Thankfully there has been nobody seriously injured,” he said. A garda spokesperson said that there had been a minor crash this morning and that nobody was seriously injured. Harrison appealed for witnesses of the crash to come forward with information and said that gardaí were investigating the incident. Email “Eight children taken to hospital after school bus crash”. Feedback on “Eight children taken to hospital after school bus crash”.